He was abandoned when he was barely a year old by his family, since he was born without any superpowers, unlike his older brother. His family moved away and he was found in a garbage dump by a very poor man (Ruben Rivera), who raised him as his own and taught him how to fight. When he was 8, he developed super strength, so Ruben entered him into the world of boxing, using his abilities, Martín defeated every opponent in a single punch, but they soon learned of a possible baby sister of his, which was also abandoned by his parents. he decided to investigate rumors of her and left Ruben and his boxing career. 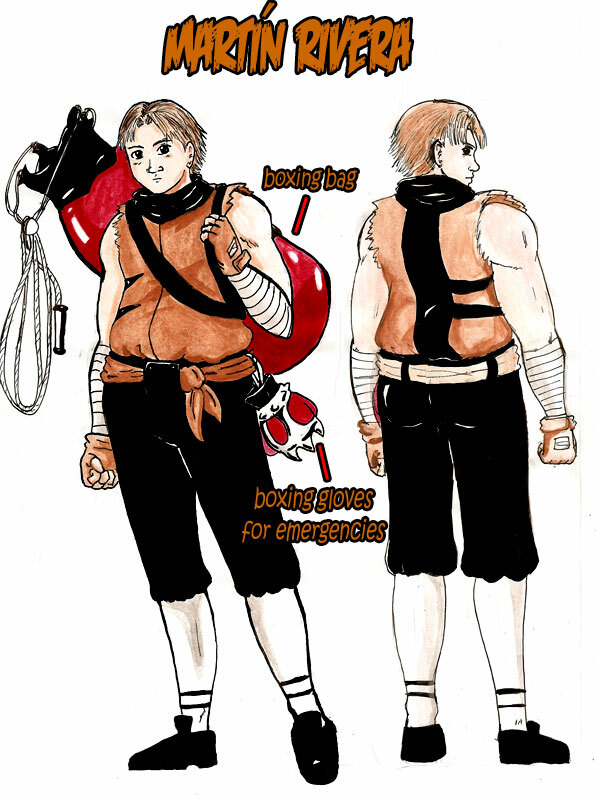 In battle, Martín has learned how to use an 80kg boxing bag as a flail in case he's in danger. Having learned his sister might be in Void, he finally heads that way.